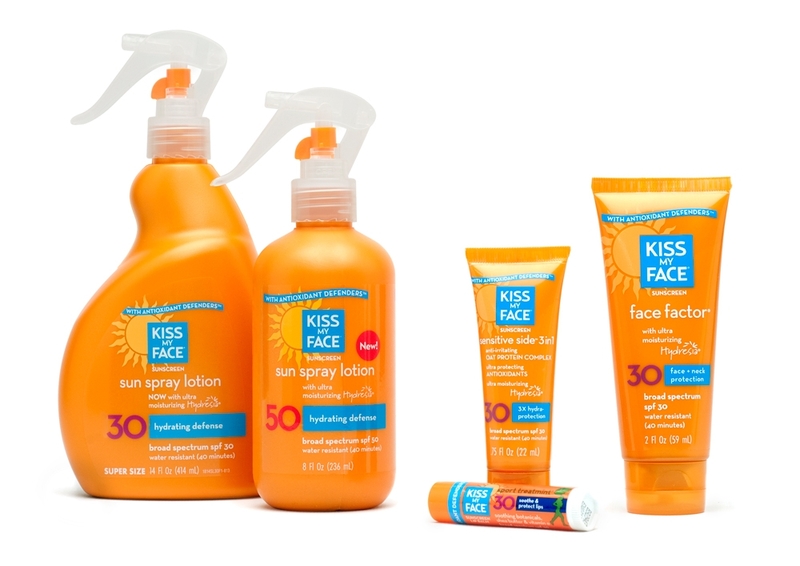 From a start-up company to a corporate sale! 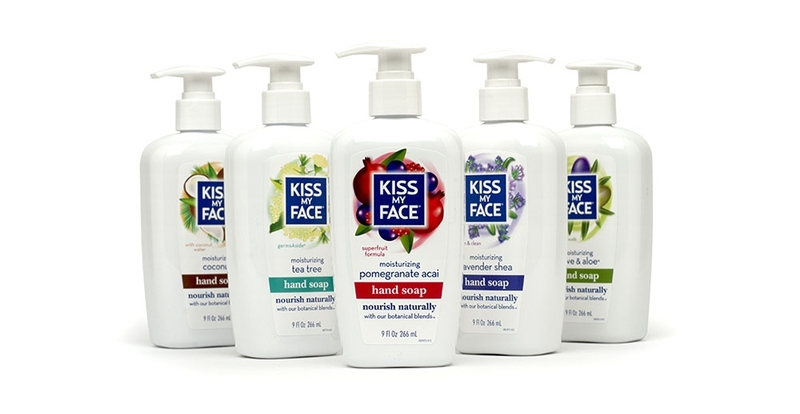 Working closely with the company founders, we helped to define, develop and build the Kiss My Face brand for over 25 years. 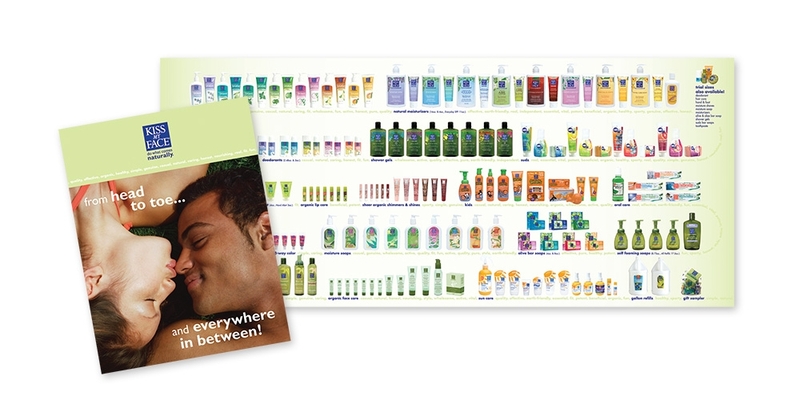 From their beginnings in the early 1980’s, to their sale in 2010 we’ve been part of their growth through creation of consistent branding, packaging, print, multimedia, website, point of sale and trade show environments. 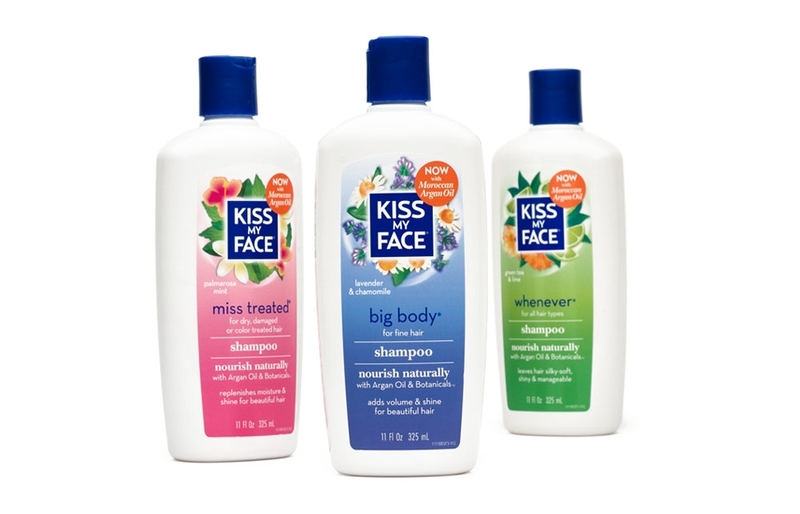 With more than 250 products developed during that time, we helped them to grow into a respected leader in natural body care and one of the most recognized names in the industry. 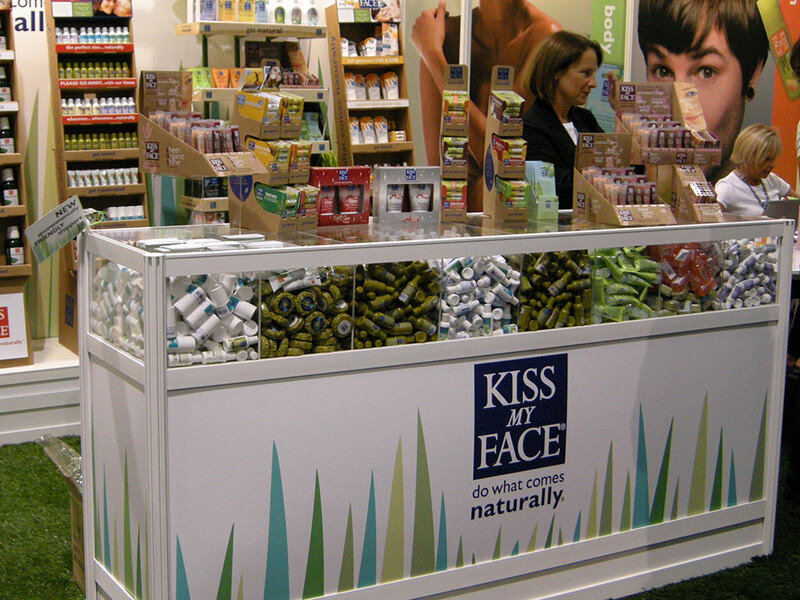 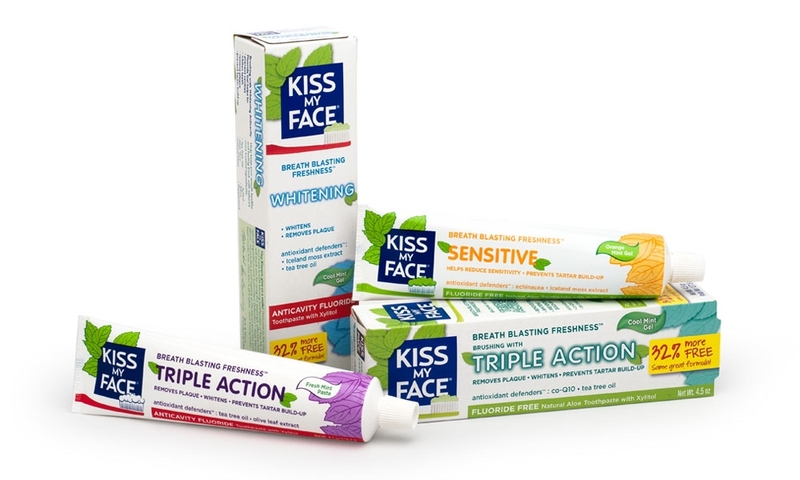 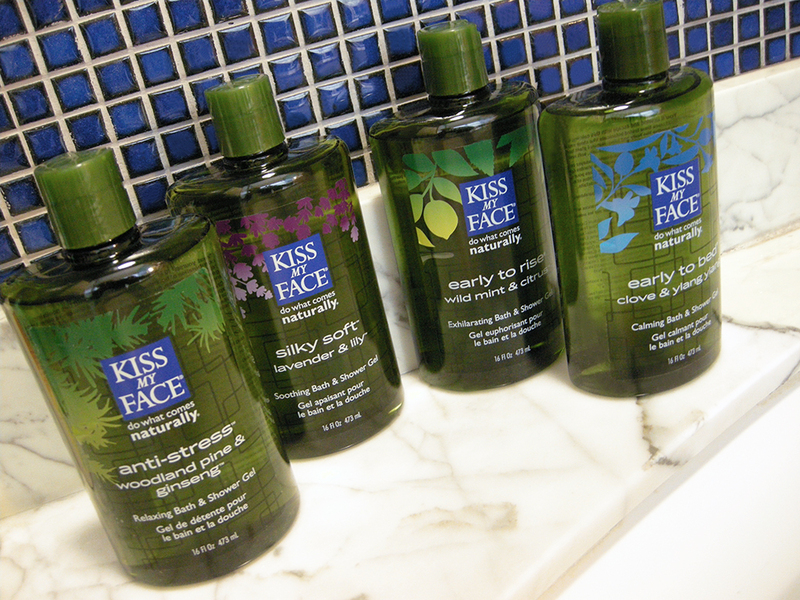 The Kiss My Face trade show booth for the Natural Products Expo East combines natural elements with lifestyle graphics. 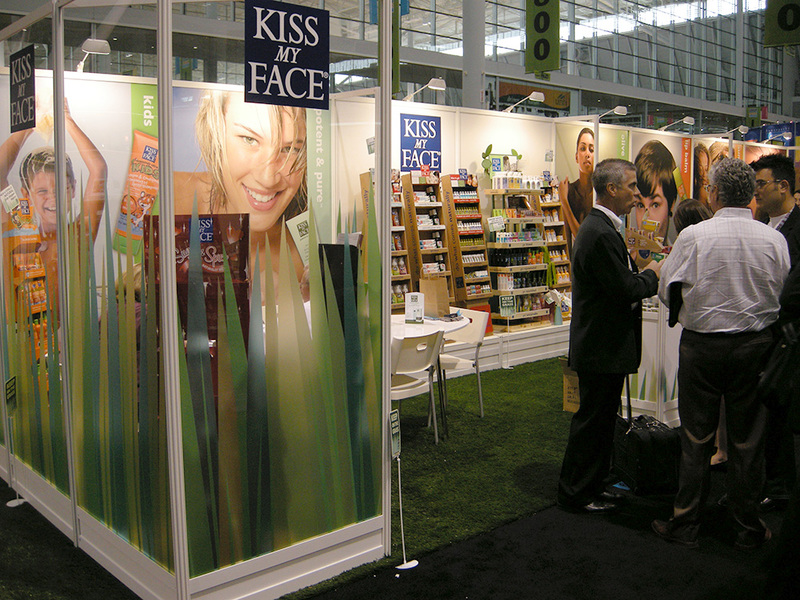 The open and inviting booth includes meeting spaces, an organized segmentation of product line offerings and a grass floor. 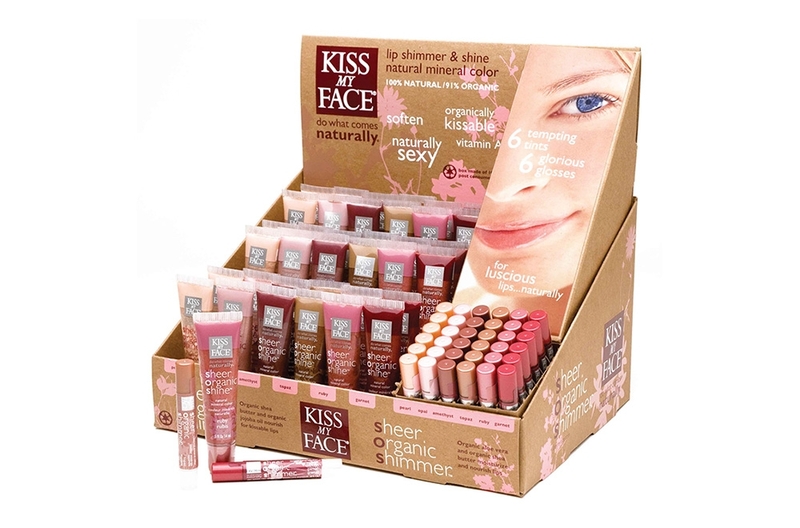 Kiss My Face Sheer Organic Lip Shimmers & Shines Counter Display is a natural beauty.